Los del R?o (Spanish for "those from the river", referring to the Guadalquivir or the Guadaira) is a Spanish music duo, consisting of Antonio Romero Monge and Rafael Ruiz. They specialize in Andalusian folk music, specially "sevillanas", the most typical and light music of Andalusia. For a number of years, Los del R?o were known for attending private "jet-set" parties at Marbella. However, in the summer of 1996, the duo enjoyed the success of their multi-platinum smash summer hit "Macarena", which sold over 4 million copies in the United States alone, but also was their one-hit wonder. They specialize in Andalusian folk music, specially "sevillanas", the most typical and light music of Andalusia. For a number of years, Los del R?o were known for attending private "jet-set" parties at Marbella. 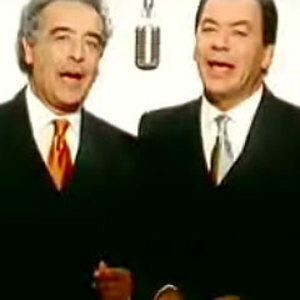 However, in the summer of 1996, the duo enjoyed the success of their multi-platinum smash summer hit "Macarena", which sold over 4 million copies in the United States alone, but also was their one-hit wonder. The "Macarena" later respawned as a Christmas single and several "Quince?era remixes" were commissioned in 2008, one of them produced by Jon Secada. "Macarena" is a song by Los del R?o about a woman of the same name. It was originally released in 1993, as a new flamenco rumba pop fusion theme with fully Spanish lyrics, with a significant success in Spain and Mexico. After being remixed by the Bayside Boys and having English lyrics added, it became a worldwide summer hit in 1996. The single spent 14 weeks at number-one on the U.S. Billboard Hot 100 singles chart. During its heyday, it was played frequently at professional athletic games, rallies, conventions, and other places. The Macarena remained popular through 1996, but by the end of 1997, its popularity had diminished greatly. The song also broke records at the time by remaining in the Hot 100 chart for 60 weeks (about 15 months). By late 1996, "Macarena" became part of popular culture. First in Europe, where it was parodied by several artists, including Mike Flowers Pops and MC Rage. Soon after hitting the US, "Macarena" was referenced in numerous sitcoms, cartoons and motion pictures. By the end of 1997, the "Macarena" craze was over and a new wave of up-and-coming Latin artists crossed over to mainstream markets, following the success of the "Macarena" remixes. Ricky Martin, Elvis Crespo and Daniela Mercury all achieved breakthrough success by having their songs remixed in a similar fashion to Los Del Rio's "Macarena", albeit only Ricky Martin really made an artistic crossover to cement his career out of the strictly Latin music market.